As the end of 2009 is upon us, I thought it would be interesting to create a list of the Top 10 most popular posts that were created on this website in 2009. This was a great year and we look forward to providing more toy reviews and toy lists to help you find the best toys for your kids in 2010 and beyond! 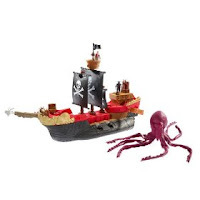 The new MATCHBOX Mega Rig Pirates Ship is great action/adventure toy for kids age 4 year old up to around 12 year old. This Mega Rig Pirate Ship can transform into 30 different ships. The boat rolls on land and can float in the water. Watch the 30 second commercial and get ready for some swash bucklin’ fun! 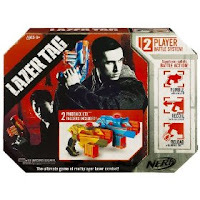 The new 2009 Lazertag System 2 Pack is a fun action game for kids age 8 year old and up. This set comes with 2 Phoenix LTX taggers (guns) for competitive fun. If you have a friend with the same set, then groups of more than 2 people can play and that’s when this game can become even more fun. The taggers will light up and have several sound effects to create an interactive experience. There is a rumble pack that vibrates when you’ve been hit and a recoil effect that sounds with each shot fired. There is also a “shield” feature that can keep you from being hit while on the move. You may want to stock up on batteries, this 2 pack will need 12 AA batteries to get the game started. This is the newly updated version of laser tag for 2009. The game can be played inside or outside! New for 2009 are the Elmo Tickle Hands by Fisher Price. 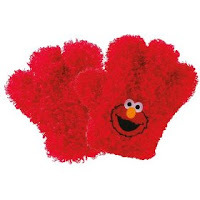 Designed for kids age 18 months old up to around 6 years old, these big Elmo hands bring giggling fun to toddlers. The Tickle Hands are sized so that young kids can wear them on their hands and when they touch something, Elmo’s hands will vibrate and you hear the sound of Elmo giggling and laughing. The Elmo Tickle Hands include a DVD that teaches kids a fun new dance. This 15 second video is the commercial by Fisher Price and shows kids playing with the Elmo Tickle Hands. The new Crayola Undersea Adventures Color Stories Interactive DVD is a great creative activity for kids 3 years old and up. This kit includes an interactive DVD with 3 original stories that kids can color and follow along. Each story on the DVD is around 20-25 minutes and kids follow along with the included coloring books. The coloring activities in each story are randomized each time the DVD is played so that kids can have a unique interactive coloring adventure each time they watch the DVD. Extra printable coloring pages are included on the DVD in addition to the 3 coloring books and 3 sets of 8 pack Crayons that are included.